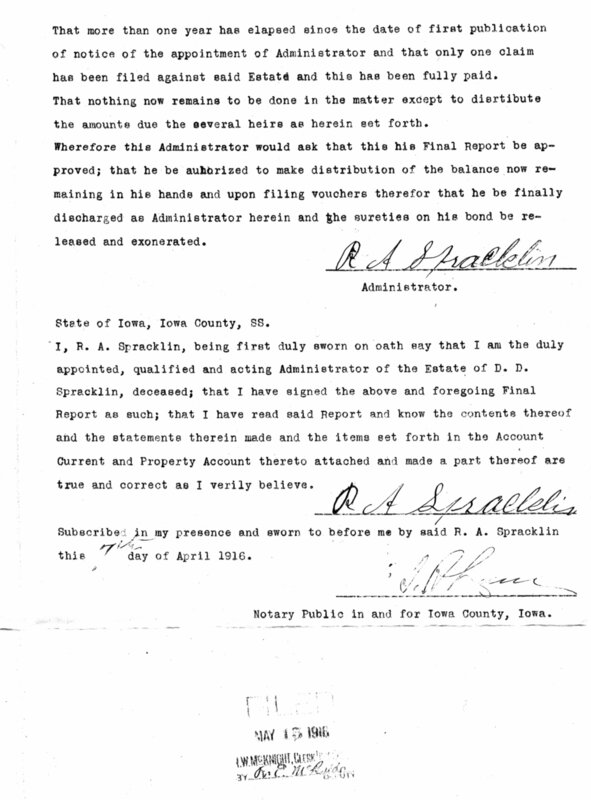 In March of 1916, Reed A. Spracklin, son and Administrator of Daniel’s estate, made his final report and petitioned for the discharge of the estate. 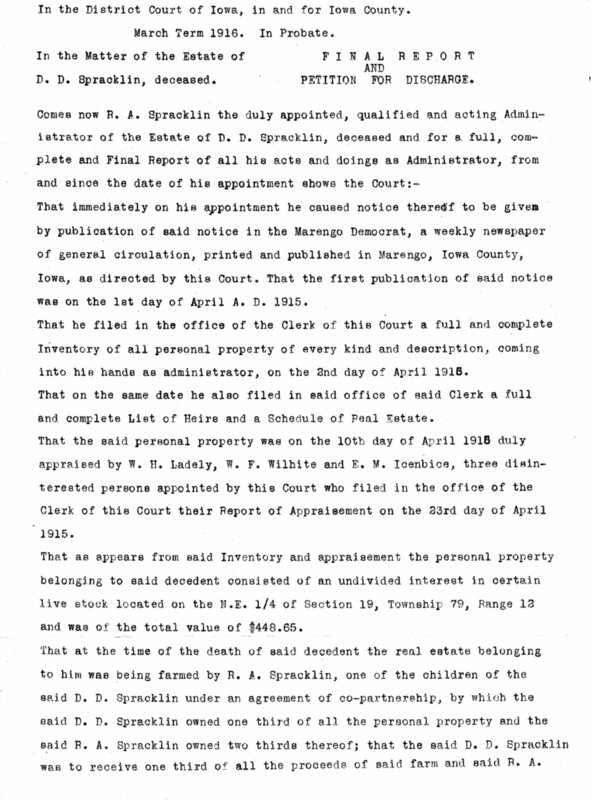 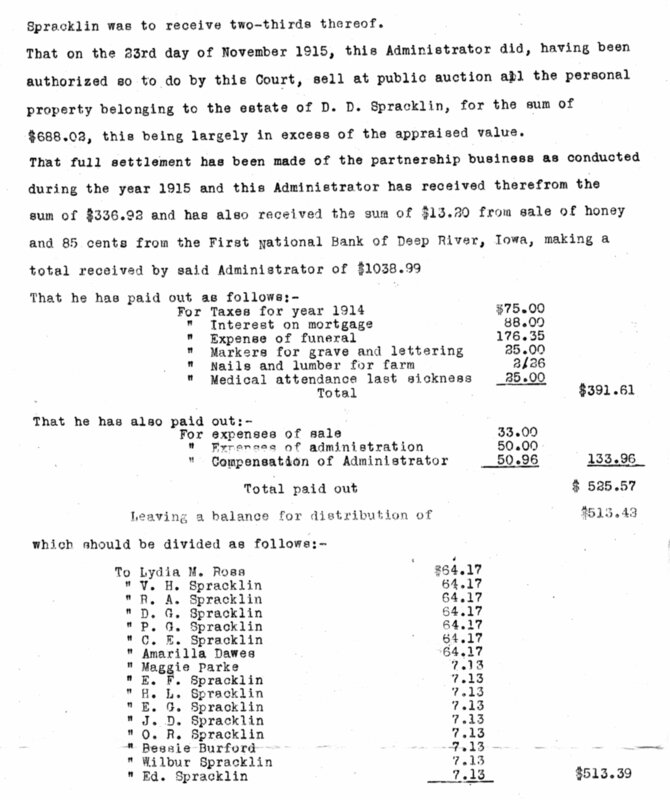 This shows the partnership that Reed had with his father regarding the farm, the distribution to the siblings and heirs. 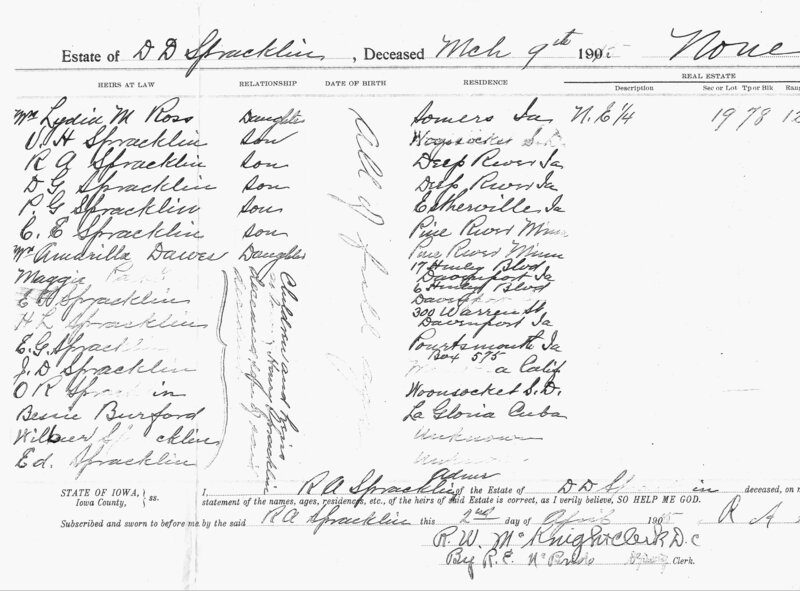 There are three pages below: click on the photo, choose open in another window an easier way to return to this blog.